A group of graduates, well established in their careers, were talking at a reunion and decided to go visit their old university professor, now retired. During their visit, the conversation turned to complaints about stress in their work and lives. 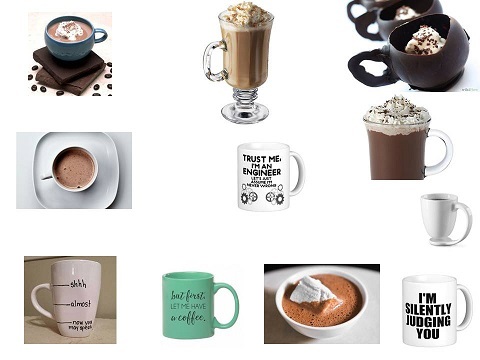 Offering his guests hot chocolate, the professor went into the kitchen and returned with a large pot of hot chocolate and an assortment of cups- porcelain, glass, crystal, some plain looking, some expensive, some exquisite — telling them to help themselves to the hot chocolate. ‘Notice that all the nice looking; expensive cups were taken, leaving behind the plain and cheap ones. While it is normal for you to want only the best for yourselves, that is the source of your problems and stress. The cup that you’re drinking from adds nothing to the quality of the hot chocolate. In most cases it is just more expensive and in some cases even hides what we drink. What all of you really wanted was hot chocolate, not the cup; but you consciously went for the best cups….And then you began eyeing each others cups. Now consider this: Life is the hot chocolate; your job, money and position in society are the cups. They are just tools to hold and contain life. The happiest people don’t have the best of everything.. They just make the best of everything that they have.